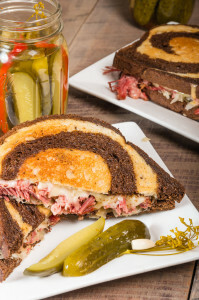 Corned beef, Swiss cheese, sauerkraut and thousand island dressing sandwiched between two pieces of grilled rye bread = one of the most amazing sandwich. 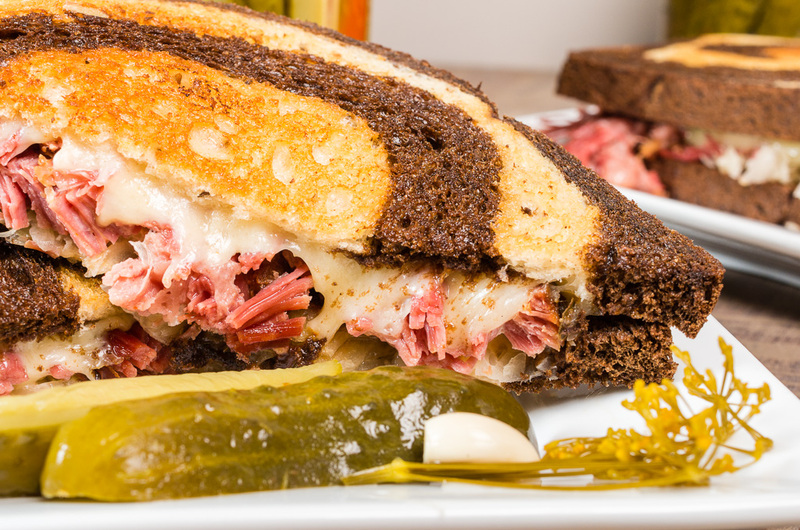 The Reuben sandwich first gained local fame when the Blackstone’s Hotel in Omaha, Nebraska added it to the lunch menu, and its fame spread when a former employee of the hotel won a national contest with the recipe. There has been much debate were the Reuben originated Omaha, Nebraska or New York, New York but right now this homemade Reuben sandwich is Fresh From Oregon. I roasted the corned beef, add my homemade sauerkraut and homemade thousand island dressing and served it with my homemade garlic dill pickles. 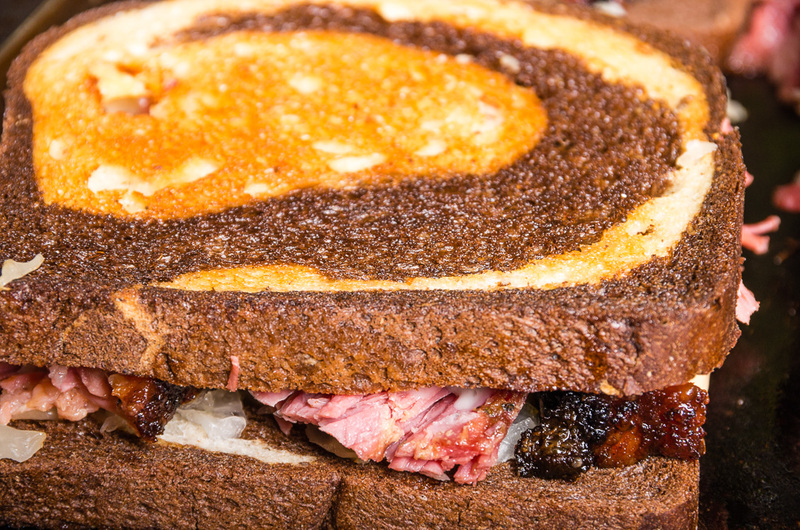 Enjoy this melt in your mouth recipe. Butter one side of each piece of rye bread. To assemble sandwich place one piece of bread butter side down and spread a thin layer of thousand island dressing. Add one slice of Swiss cheese, 1/4 pound corned beef and 1/4 to 1/3 cup sauerkraut. Spread thousand island dressing on second piece of rye bread and place butter side up. Assemble the remaining three sandwiches. Heat a flat top grill or pan over medium heat. Grill sandwiches on one side until golden brown about 3-4 minutes. Flip over and grill other side until golden brown. Serve with a side of pickles and potato and enjoy! Add all ingredients to a small bowl and mix well. Taste and add additional salt if desired. Refrigerate for at least an hour to allow the flavors to meld. Serve. Can keep in refrigerate 4-5 days.